I have a birthday this week, and, like most weeks, I have a lot on my mind and much to juggle. With this gift of another year, I want to remember that I have more #control over my life than I sometimes realize, but I cannot control everything. 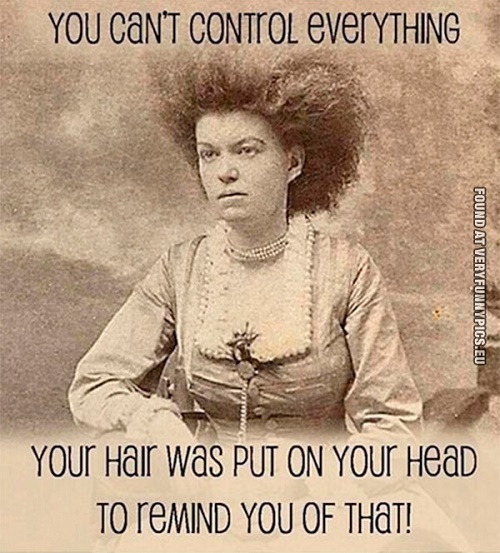 No, I cannot control or fix everything–hair reminds us that we never have complete control and seldom have perfection.